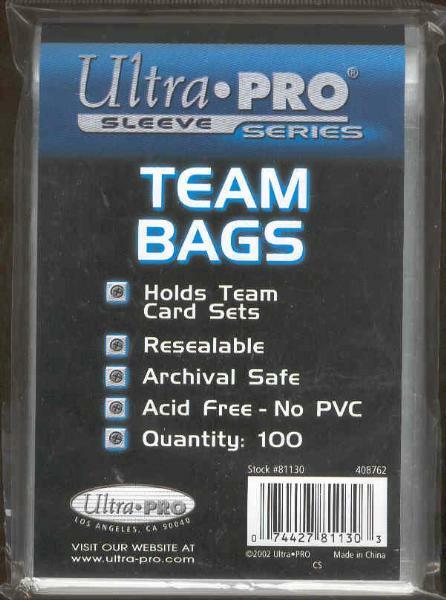 Item Detail - Ultra Pro Resealable Team Set Bags- 5 Packs of 100 Sleeves! Kevin Savage Cards is pleased to offer for sale Five unopened packs of Ultra Pro resealable team set bags. Each unopened pack contains 100 sleeves! These Ultra Pro team set bags are PVC & Acid-Free! !